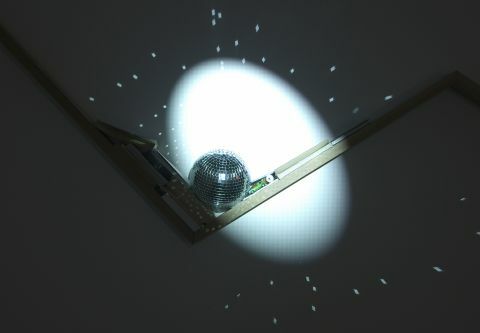 Torsten Lauschmann, byt, projection, oak boards, various objects, dimensions variable, 3" (loop), 2011. Photo: Ruth Clark. Courtesy: Mary Mary, Glasgow; Dundee Contemporary Arts.